Wird einfach über den Kopf gezogen, mit Kapuze. also ein TOP - Gummifeeling -. Farbe: transparent. Latex-Cape . es geht nur um das Cape -nicht um andere mit abgebildete Sachen. Ein super Gummifeeling- super dieses Schwabbeln beim laufen. Länge ab Kragen 110 cm - Saumumfang 180 cm - Schulterbreite ca. 70 cm - Brustumfang ca. 140 cm. also ein TOP - Gummifeeling -. es geht nur um das Cape -nicht um andere mit abgebildete Sachen. (Man kann die Schürze auch so tragen-das die lange Seite hinten ist und die kurze vorn. jedes Teil ist sozusagen ein Unikat). mal etwas Anderes. Größe:130 cm lang(ab Schulter) x 90 breit(Umfang). 2 Bindebänder aus Latex. (Man kann die Schürze auch so tragen-das die lange Seite hinten ist und die kurze vorn. Größe:135 cm lang(ab Schulter) x 90 breit(Umfang). 2 Bindebänder aus Latex. jedes Teil ist sozusagen ein Unikat). (Man kann die Schürze auch so tragen-das die lange Seite hinten ist und die kurze vorn. jedes Teil ist sozusagen ein Unikat). hat den Vorteil dass später die Bänder im Bedarfsfall einfach ausgewechselt werden können, ohne die Ösen entfernen zu müssen. ÉTAT NEUF - Vilmorin 4466314 Soins Regarnissage Universel 2-en-1 Vert, 1 kg. Couleur: Vert. Color: | Green | This Planter is a sophisticated addition whether used indoors or out. GardenGirl - Handsäge einklappbar Auf Lager. GardenGirl - Handsäge einklappbar Neuheit in 2016! Das Zeichen mit der durchgekreuzten Mülltonne bedeutet, dass Sie Batterien und Akkus nicht im Hausmüll entsorgen dürfen. Bras téléscopique longueur totale : 1m. Diamètre de coupe maximum : 42 mm. Longueur totale : 700 mm (68,6 cm). SEMENCES graines Gired KIKUYU gazon pelouse jardin sec sud 200 gr. Kniebank, Sitzbank. im Haushalt als Fußbank, im Garten als Kniebank mit Stützen. sondern auch Unkraut im Garten ziehen. Mit dieser Bank können Sie eben nicht nur Fenster putzen. Repel Mosquito Repellent Lantern Refill emits a pleasant fragrance that masks carbon dioxide, making you invisible to mosquitoes. It has a pleasant, spicy floral scent that masks the scent of carbon dioxide emitted from human skin, making you undetectable to mosquitoes. The scissors sit nicely in the top of the spool when not in use. A green house or potting shed essential! Extra Large Bobbin Garden Jute String with Scissors exclusive to Tutti Decor. 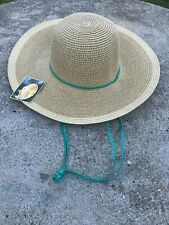 Jute twine Included. The bag is Khaki and Pink. One Size Fits All ~ Adjustable Strapback. Ease your gardening and planting experience. Commonly used to help support growing plants, flowers, and vine garden vegetables. Specially shaped knee pad. Protects the knee. Size One Size - 23 x 16.5cm. Fabric Ethylene-vinyl Acetate. 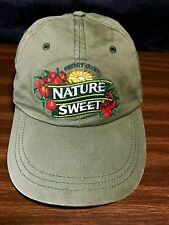 This is a quality item for a very good price. PRODUCT DETAILS. Fits in PR506 knee pad trousers. Ergonomically designed providing durability, comfort and protection. It does not hinder the wearer when walking. Size One Size. Fabric Ethylene/Vinyl Acetate. This is a quality item for a very good price. Color: | ASSORTED | Set of 6 tapered square planters. Made of bamboo fibers. Eco-friendly, Biodegradable. Assorted colors. 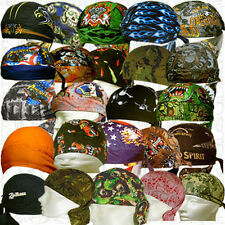 Car Flags are made with weather resistant knitted polyester fabric. Flags are sew to pole and feature beautiful design on both sides. Durable construction on these flags allow them to hold up under tough conditions and continue looking great. Strong, hardwearing and flexible. Lightweight and durable. Protective cushioned knee pads. Ergonomic design for advanced comfort and fit. Compatible with Regatta workwear trousers. This is a quality item for a very good price. 2 Colors (each one is 10ft long). Light duty. 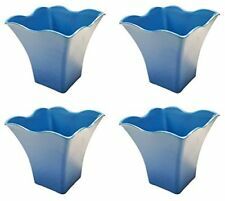 Set of 6 planters. Assorted colors, Terra cotta, Wine brown, and ash gray colors. Square column design. | Protect your knees while working in the garden, with children at school. | Lightweight, soft & durable foam rubber cushions for protecting knees or seat thickness puts comfort between you and floor, ground, concrete or other surfaces. 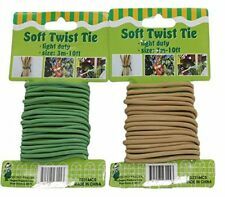 Color: | 50 Feet Green | The Archway Lawn and Garden soft twist ties are a great tool to keep around the house or in the garden. Color: | 30 Feet Green | The Archway Lawn and Garden soft twist ties are a great tool to keep around the house or in the garden. Tuta intera monouso con cappuccio Classic Expert XL Tyvek 41 g/mq Elastico stringipolso, stringic. Tuta intera monouso con cappuccio Classic Expert. (vedi modalità). INFORMAZIONI IMPORTANTI. Brico24 Da olre 25 anni nel settore, una grande conoscenza dei prodotti, si affida solo a Fornitori o Distributori Italiani. They are very easy to use and effective. The trap should be placed where rats can occur, but out of reach of children and pets. Water repellent fabric. Flexible anatomical fit. Designed to fit all Work-Guard knee pad trousers. Outer: 100% ethylene vinyl acetate (EVA) foam. PRODUCT DETAILS. This is a quality item for a very good price. Includes total 300 skewers. Soak skewers in water before grilling. Product with good quality. Set of 6 Multicolored Round Swirl Biodegradable Bamboo Fiber Planters! This plant/ flower pot is ideal for plants, flowers and herbs. Very light weight, Eco-friendly, Biodegradable.